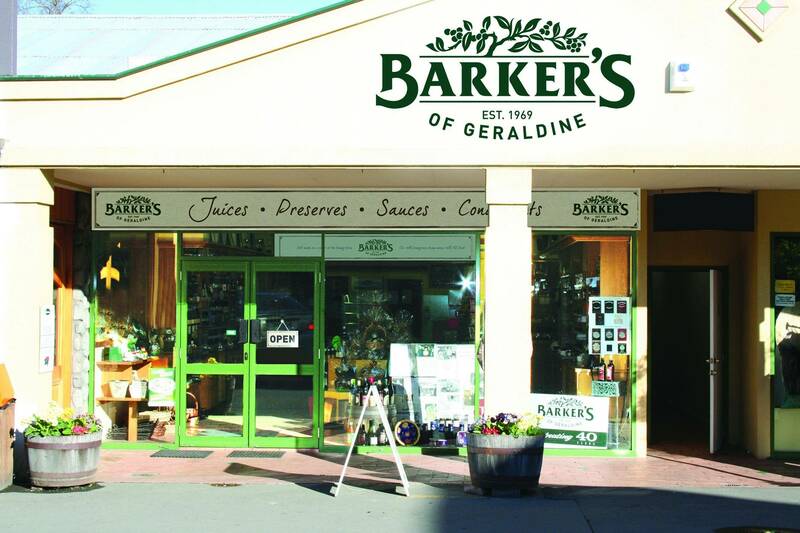 Visit our shop in Geraldine and taste our range of fruit juice syrups, preserves, chutneys and sauces. Stay awhile ... you can treat yourself to one of our famous fruit smoothies or sundaes or select a gift from our range of gift basket and boxes. We're keen supporters of New Zealand growers and use local fruit wherever possible. Try our Kiwi favourites - New Zealand Strawberry Jam, New Zealand Blackcurrant & Red Onion Jelly and our original New Zealand Blackcurrant Fruit Syrup - we've been squeezing antioxidant-rich Canterbury berries for over 40 years. All this from a Kiwi family business proud to acknowledge our heritage and unique location.